My plan is to blog once a week (she says writing up her third blog post in almost as many days), but since we’ve been “home-schooling” for a few weeks now, I’ve a few posts I wanted to catch up on before I feel like I can move into the blogging present. I’ve been thinking about what I want this blog to be. Mostly it will be a weekly roundup of some of the things we’ve been learning, a few of our favourite songs, verses and finger-plays, and the adventures we’ve had. I’m not going to make it too personal; it won’t be a journal. I’d quite like to do that, I love reading those kinds of blogs, but I’m also conscious that people other than myself may read it :D and I guess I kinda feel strangely self-conscious about that. I may occasionally throw in the odd tutorial if the mood takes me. I guess, like our year of home-learning, we’ll see how it evolves. We’ve been talking a lot about Summer, flowers, and insects, particularly bees, over the last few weeks. 'Celebrating Summer With Small Children' is a lovely article, well worth reading. 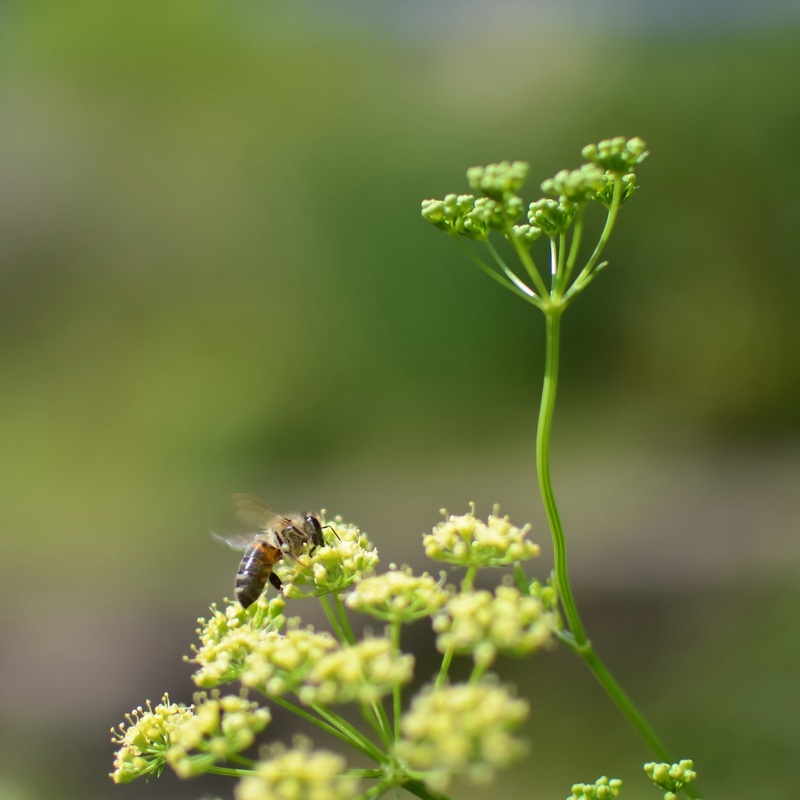 We’ve spent a lot of time in the veggie patch observing which insects like to visit the flowering parsley, coriander, basil and fennel. The lazy days so quickly pass. Often it seems for hours and hours..
We’ve noticed which bees like to visit the white pea flowers, and which ones like to visit the pink and purple pea flowers. We bought some honeycomb to eat, rolled beeswax candles, and baked honey cookies. We counted how many sides honeycomb hexagons have and enjoyed a number of rhymes and finger plays about bees in our morning Circle Time. A bee sat on my nose! We are fortunate to have a working display hive down the road from us, and the lovely staff spoke to us all about the life of bees, how honey is made, and the role of the queen bee, all while we watched the busy bees at work! We were able to taste different honey made from different flower nectar. We’ve spent warm, sunny mornings in the garden picking strawberries and cherries, blueberries and currants straight from the bush. We’ve noticed the different shapes of the vegetable, berry and herb flowers, and we got out the flower-press to press pansies, violets and dandelions. We have been following along with the Summer unit of the Waldorf Essentials curriculum this month, and I've also incorporated a number of ideas for celebrating Summer from Waldorfy blogs and sites. I've noticed many of the stories, songs and activities are based on the experience of Summer in the Northern Hemisphere; and up here, there isn’t an oak tree, a forest, a squirrel, or a meadow in sight! But there is bush; lots and lots of bush, as far as the eye can see. So, we’ve been on lots of short bush-walks on our property, observing the subtle changes in the Australian bush at this time of year, while keeping one eye out for big, fat tiger-snakes sunning themselves on old logs, of course! Incidentally, we’ve only found a large spotted mountain skink and one grumpy, pregnant blue-tongued lizard this week, and she gave us quite an impressive hiss and blue tongue show! 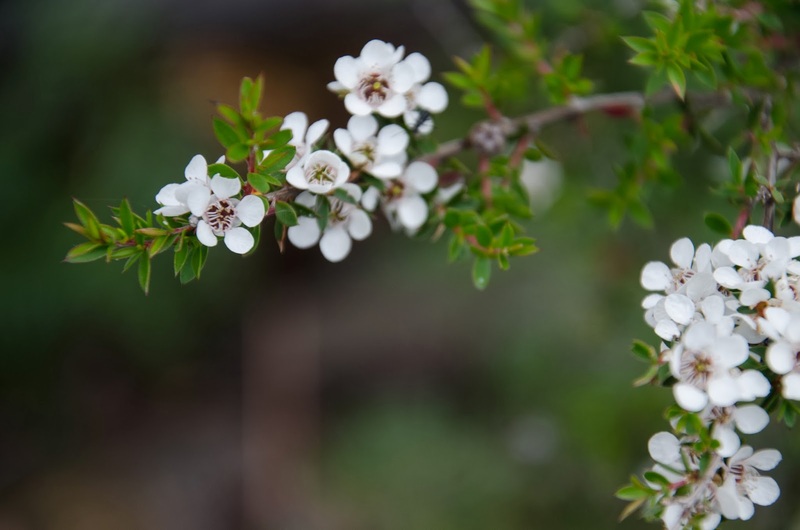 We noticed the little Emperor Gum moth grubs on the eucalyptus; the dragonflies and damselflies flitting to and fro; the beautiful white Tea-tree blossom blooming so heavily this year, and the little green (inedible!) 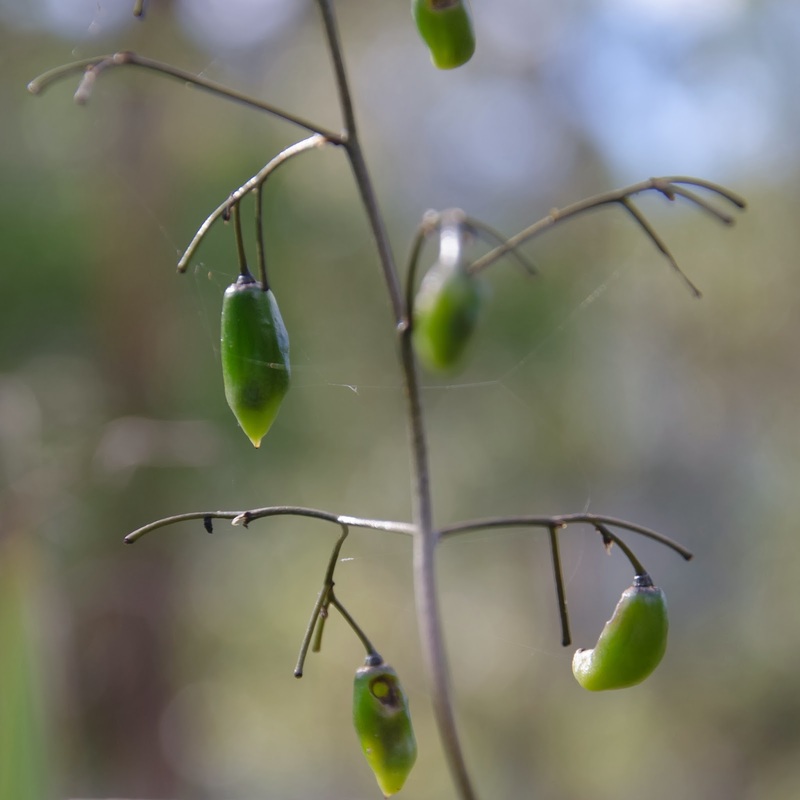 berries appearing on the Flax Lilly where the pretty purple and yellow flowers were in Spring. 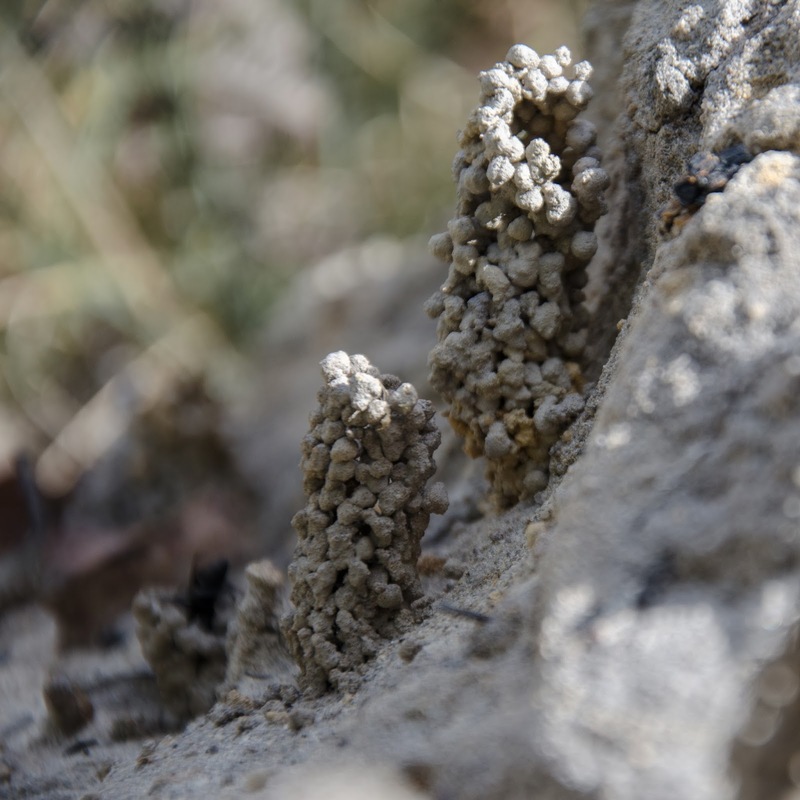 We also found some tiny, strange looking dirt ‘tubes', obviously made by some sort of insect, perhaps a native wasp? 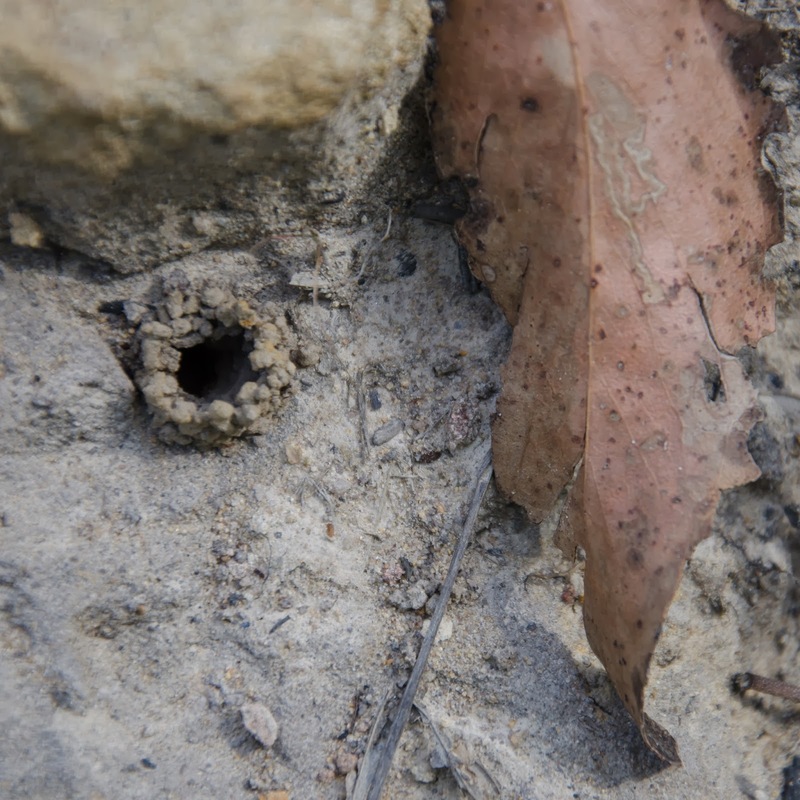 We will be observing these closely over the next few weeks to see if we can spot whose homes these are. And while the stories from Northern Hemisphere curriculums are sweet and somewhat nostalgic to those of us who've spent time in these far off lands, rather than use the stories verbatim, I’ve been adapting them to suit our experience of Summer in the Tasmanian bush. We’ve had stories of spiders and snakes; and of echidnas, possums, eagles and quolls. Stories of the wattle, tea tree and gum. This is the world my two little bush babies understand. Last Sunday, we sat down as a family and made our own set of prayer flags. Most people will have seen Tibetan Prayer Flags around. 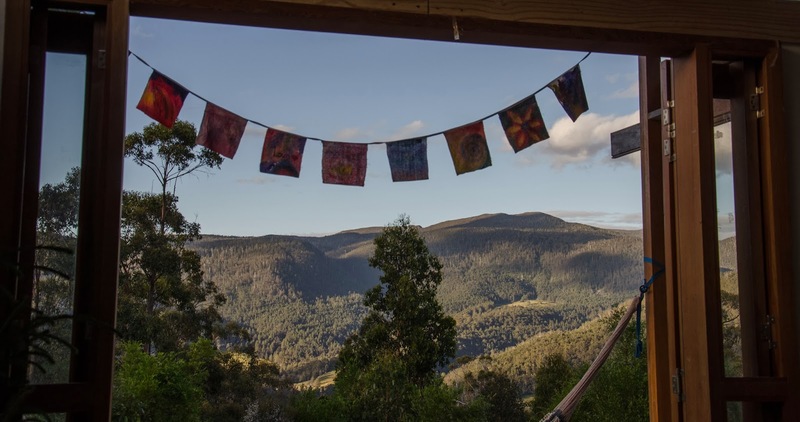 Traditionally, prayer flags are used to promote peace, compassion, strength, and wisdom; silent prayers, blessings spoken on the breath of nature. Just as life moves on and is replaced by new life, Tibetans renew their hopes for the world by continually mounting new flags alongside the old. This act symbolises a welcoming of life's changes and a realisation that we are part of a greater ongoing cycle. Whilst we ourselves aren’t Buddhist, or Tibetan, I felt these were sentiments that we could appreciate in our family. 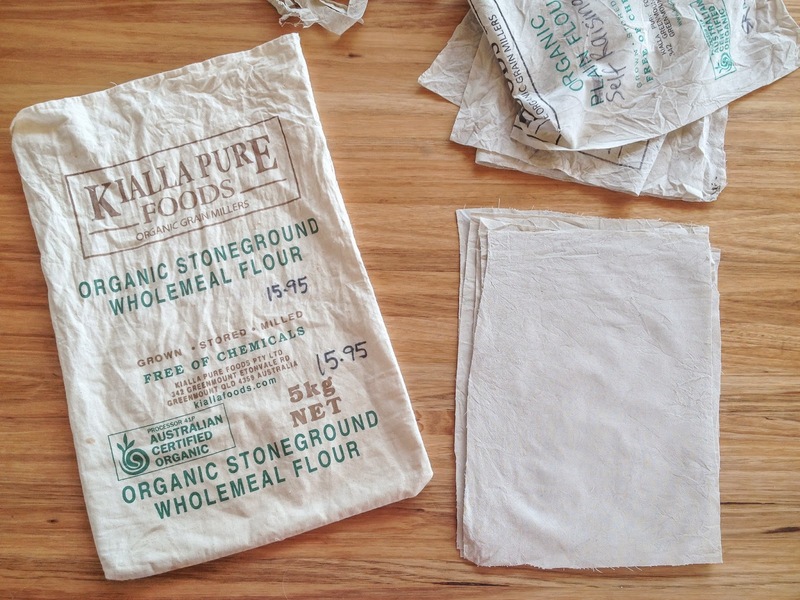 I have been stockpiling Kialla Organic Flour bags over years of sourdough baking and it was lovely to finally find a use for them. I cut them roughly to size and then soaked them in water. We painted them together, kind of like wet-on-wet fabric painting. We consciously chose to use non-permanent paints so that in the wind and rain and weather, these flags will fray and fade, reminding us that nothing is permanent in this life. 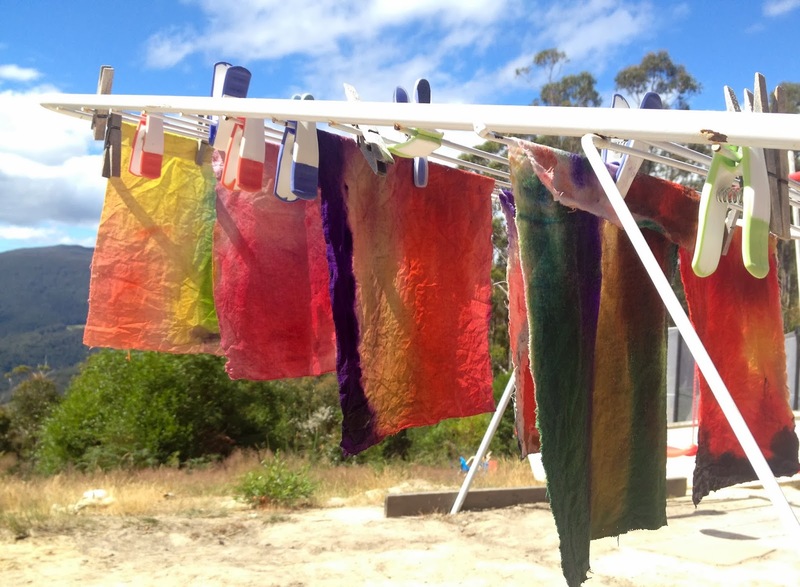 Freshly painted flags, drying in the sun. We discussed what we thought were important prayers and blessings for our family and for our community: prayers for health, peace, contentment, and love, among others. We wrote these blessing on each flag, choosing our words mindfully. I then sewed them together with an piece of bias binding I found in my ‘useful box’. They were then ready to hang! 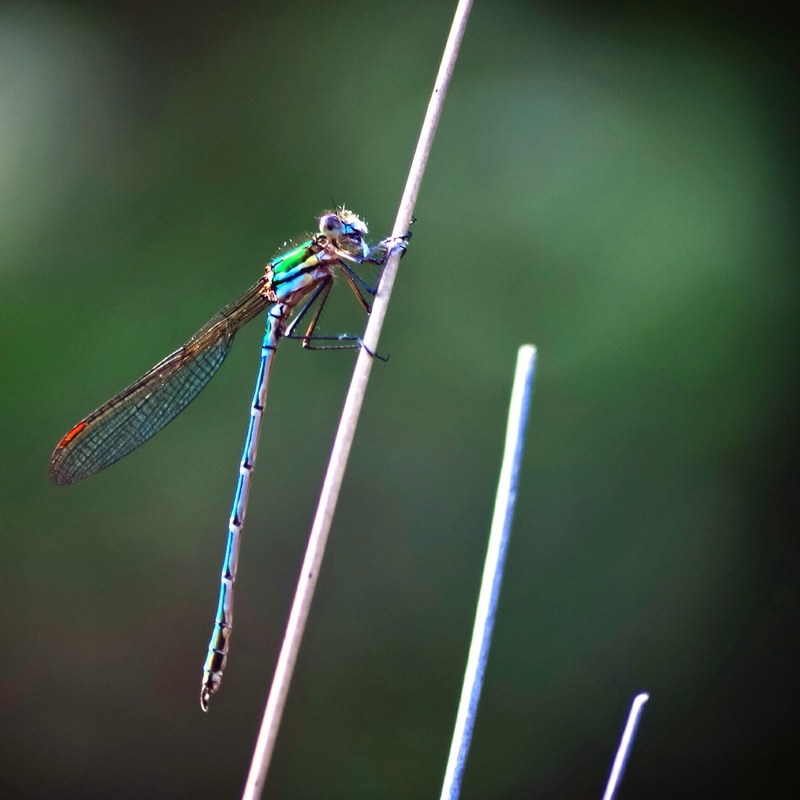 I love being able to see them fluttering about in the summer breeze; sometimes just a gentle ripple, sometimes flapping wildly in the gusty mountain wind. Often times during the day, I find myself looking up and noticing the ‘right’ flag just when I need it most: the prayer for Patience in those challenging moments; Peace when I’m letting anxieties creep in; Contentment when I feel things are not enough, or I am not enough. I’m so glad we did this as a family this year and I’m looking forward to seeing them fade and fray and carry their blessings on the wind. Butterfly, I can't catch you! Hiding away where nobody sees! when the days are sunny.